Our friendly, dedicated, passionate team at Trenderway are committed to ensuring that you’ll have the most comfortable, enjoyable and wonderful experience. With qualifications (old ones!) in Hotel Management and Agriculture, Yaron and Jacquie felt well equipped to take on Trenderway 10 years ago. 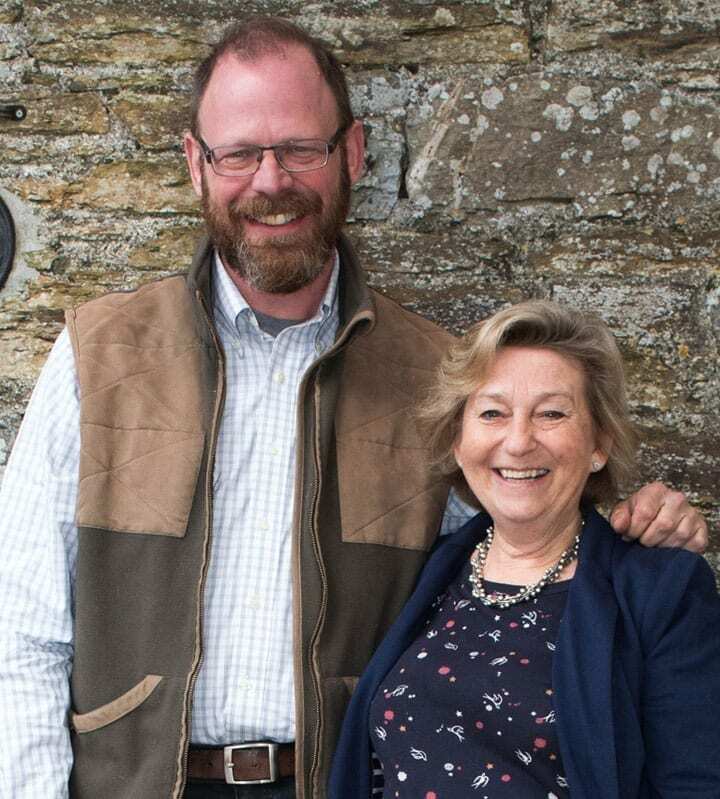 Things have changed a bit and both Trenderway and the team have grown since then, but Jacquie and Yaron still retain the warm and welcoming family feel that is so important to them and embodies the Trenderway ethos. 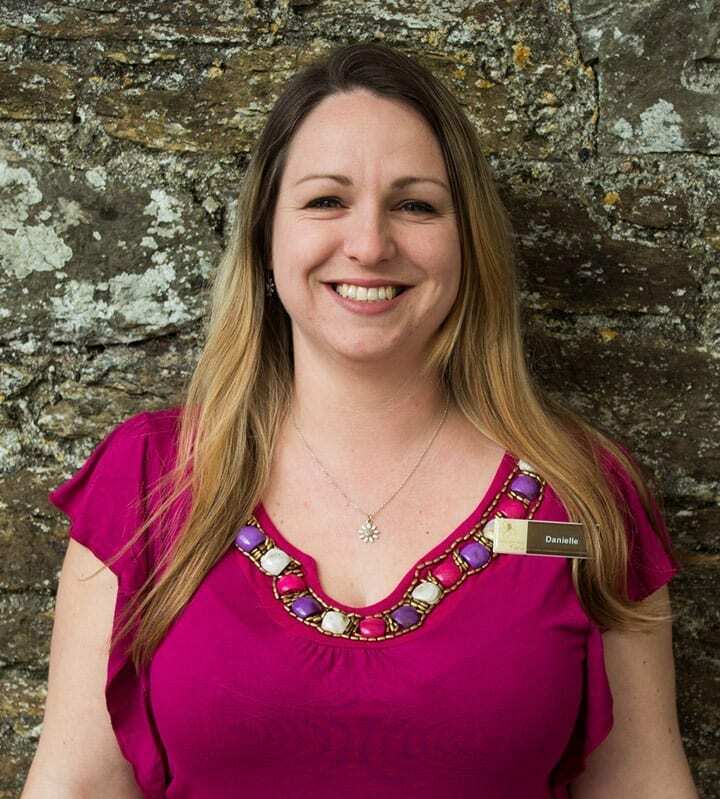 Jacqueline joined the Trenderway Team as Events Manager back in June 2016 when she moved from Kent. She has many years’ experience in sales, logistics and events management. Her husband Adam is our Operations Manager, they married at Trenderway in 2017! 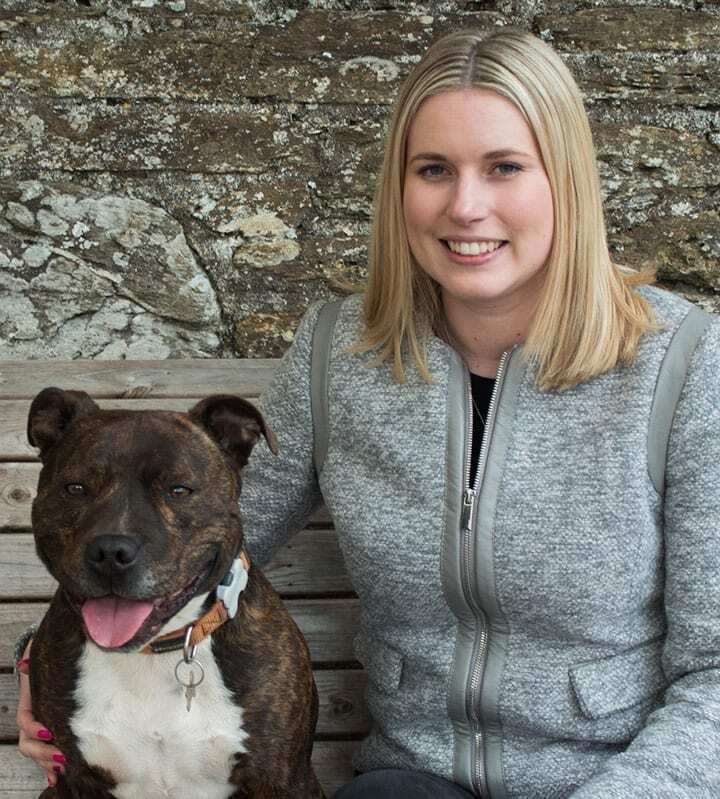 They have a staffy dog called Charlie who is now a valued member of the doggy hospitality team. 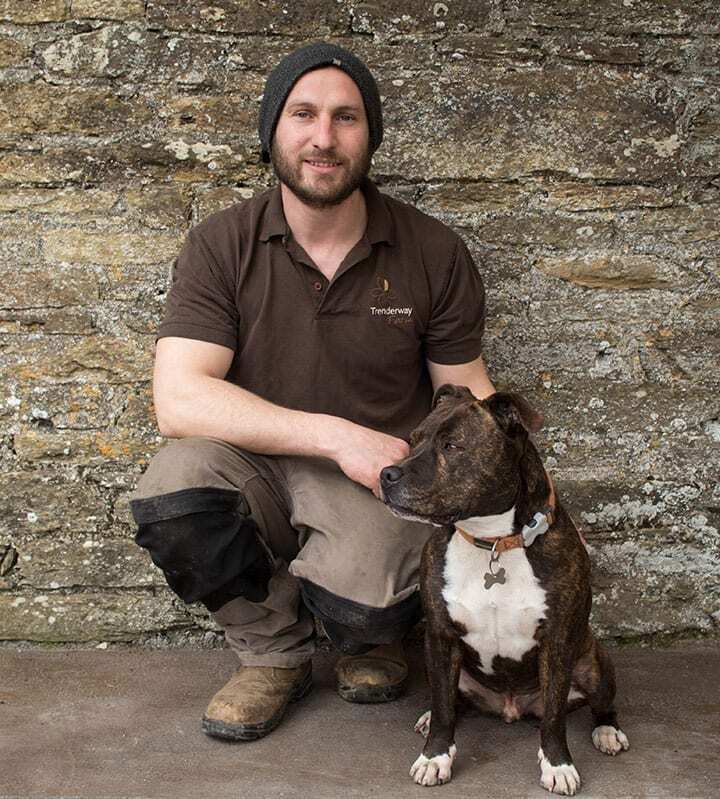 Adam grew up in Polperro and is a qualified mechanic who spent many years working off-shore. He then decided to move back to Cornwall for a quieter life and settled down with Jacqueline our Events Manager. Adam is into his motorbikes and enjoys going on track days around the UK. Angie has been a pastry chef for over 12 years now and moved from London to Cornwall in March 2017. 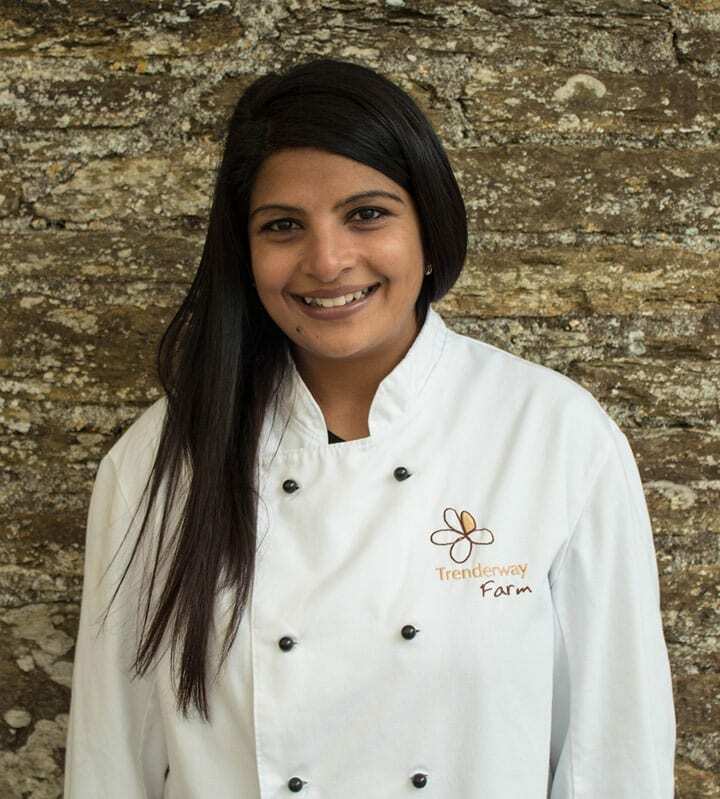 She gained her experience working for private members clubs in their fine dining restaurants, creating beautiful dishes and catering for large events. Angie started working for Trenderway in May 2017 as our breakfast chef and now creates specialised afternoon teas for weddings and caters for smaller events. When she’s not cooking she helps our events manager in the office. Danielle qualified as a bookkeeper in 2014 and started work at Trenderway in June 2016. She has a dog named Amber who has joined her in the office since she was 4 months old. She likes reading, gardening, and spending time outdoors. Danielle is continuing her studies and hopes to become a qualified accountant by the end of 2019. 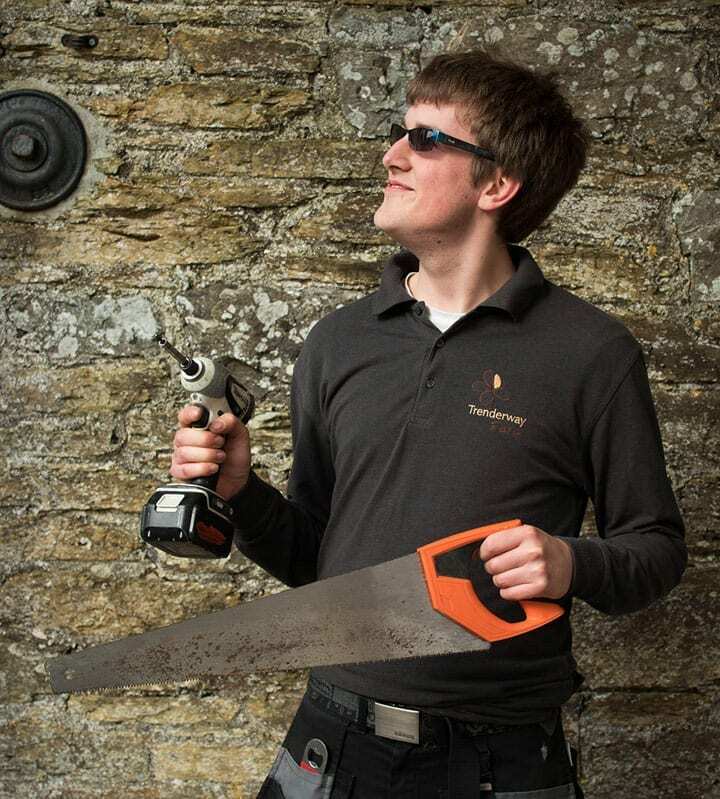 Matt joined the Trenderway team in 2016 and started as a ‘water boy’, he now does a bit if everything! He enjoys playing the piano, Dungeons & Dragons and musical theatre.